The veterinary service of PigCHAMP Pro Europa is aiming to attend the needs of swine producers about health, production, biosecurity, cost control and compliance with legal obligations, improving its competitive position. This concept is very important in this department. We work for better health control of your farm anytime, from the implementation and maintenance of a proper and customized biosecurity plan to control and eradication of diseases. We know how important the entrance of gilts is for farm´s health, hence we make a plan of health adaptation and vaccination adapted to each farm. In addition we take samplings (water, feed, serum, and bacteriology) and control carcasses in the abattoir to get a continuous control of the health status of your farm. At what age do I have to inseminate gilts? 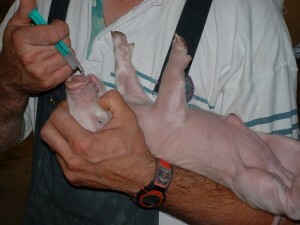 Which is the average age of mortality of suckling piglets? 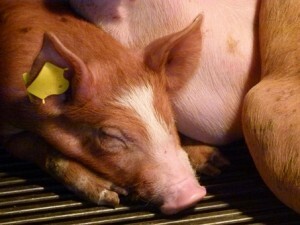 How many piglets are weaning my sows and which are the limiting factors to improve performance? 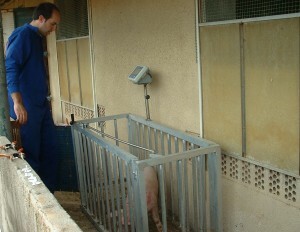 What is the optimum time for farrowing synchronization? We can answer all these questions supported by the PigCHAMP data management software (or other you have if its capabilities allow it) to optimize reproductive performance as much as possible. Your herd production is controlled by setting productive targets customized for each farm delivering monthly / quarterly / annual production reports with the possibility of a further study in case of any particular problem. Appropriate personal advisory is provided to conduct the gilt’s replacement program of the farm and, in cases of self-renovation, appropriate staff education and training is also provided to reach an effective selection of F1. What is the better slaughter weight under current market conditions? With the customized interactive and using friendly costs simulator, we can answer this question and many others to know what’s best for your farm from the technical and economic point of view. 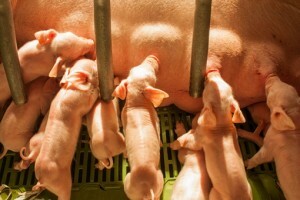 In PigCHAMP we know that farm staff is key, hence proper training and education of farm staff as part of their routines is a must: adaptation, gestation, lactation, nursery and fattening. It works particularly well in staff motivation explaining properly why things are done, teaching them to detect sick animals in an early stage, taking into account their opinions and making them part of the working team. If necessary, workers are organized to make their time in the farm much more productive. Optimal health allows to achievegood production performance and depends heavily on the quality of the facilities and their control. Thermography analysis allows an early problem detection and anticipate fast and low cost solutions that will minimize or prevent health problems and unnecessary use of antibiotics. Control of the regulatory duties of the farm (registration notebook, medicines register, guest book …). Personal advising in the maintenance, ventilation and remodelling of facilities (Regulations for Animal Welfare). Organization of training courses and seminars for farmers and workers. 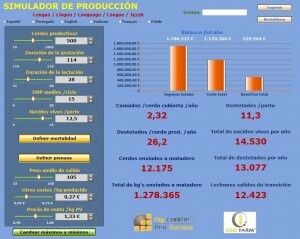 Organized visits for farmers (to farms, feed mills …).